Brief Candle Press, 9780989441087, 208pp. Susannah Mills is an ordinary young woman of the Massachusetts-Bay Colony, more interested in skipping her school lessons than in the the growing rebellion against King George. But when the rebellion hits home, everything changes. Her quiet life is shattered, and she has to flee to Nova-Scotia with her father. They find what feels like a safe haven in Nova-Scotia, and she is just settling back into some sense of normalcy - but is there any safe place when an empire is at war with itself? 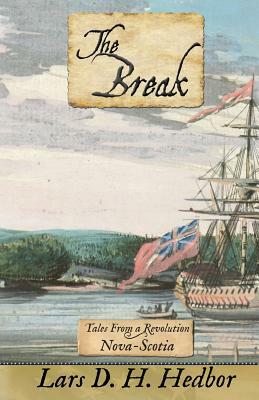 The Break is the standalone Nova-Scotia novel in the Tales From a Revolution series, in which each volume explores how the American War of Independence unfolds across a different colony. If you like stories such as Johnny Tremaine, or you've ever wondered how the Revolution looked from the other side of history, you'll love The Break. Read The Break today, and live the upheaval the Revolution meant to those who wanted only to live quietly as a loyal subject of the British Crown-and feel the price paid by America's opponents for its independence.